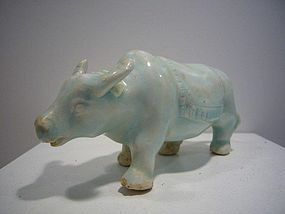 Rare Qingbai moulded sculpture of an ox. China, Song Dynasty (960-1279). H. 7 cm , L. 15 cm. Condition: age wear and some stains, no damage or repairs.